You all know i'm a huge fan of soaps. 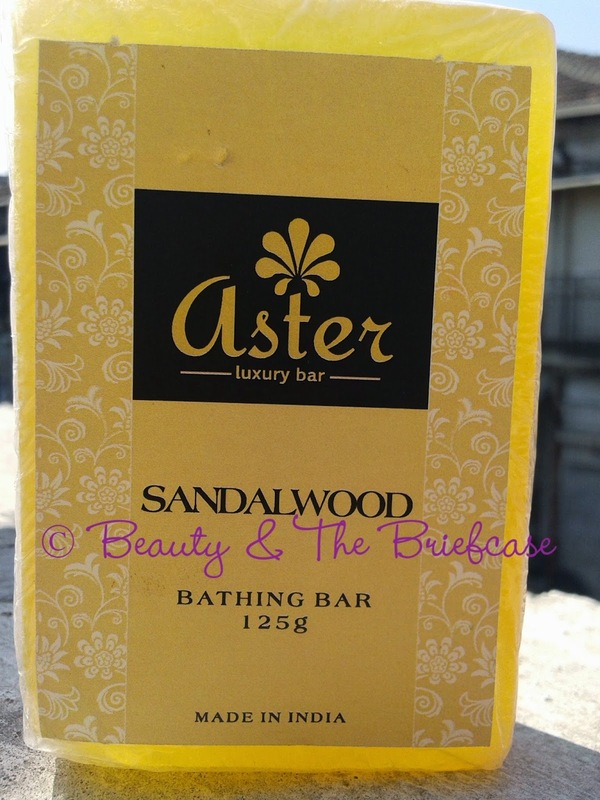 So here i am introducing another lovely brand called Aster which sells luxury handmade bathing bars. They currently stock 30 variants of soaps. Today, I will review a lovely soap from the house of Aster. 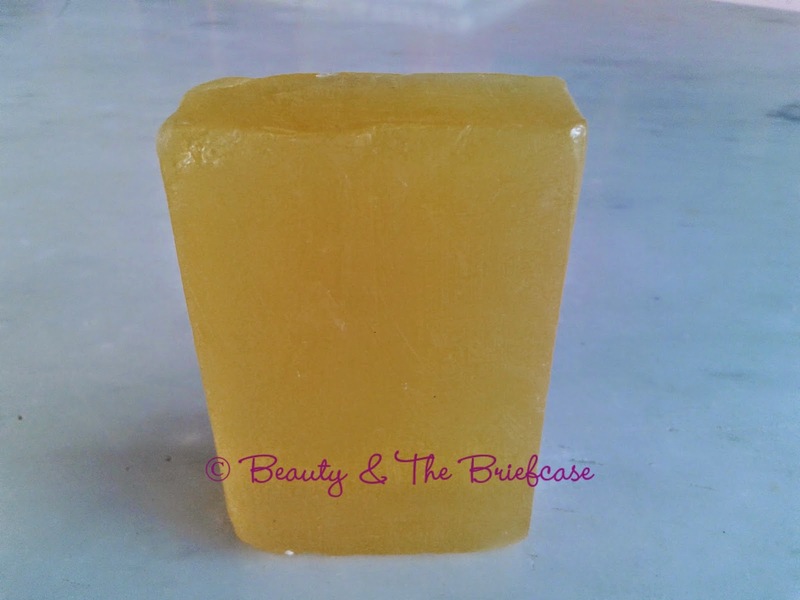 Read on to know how the soapaholic in me felt about this soap. 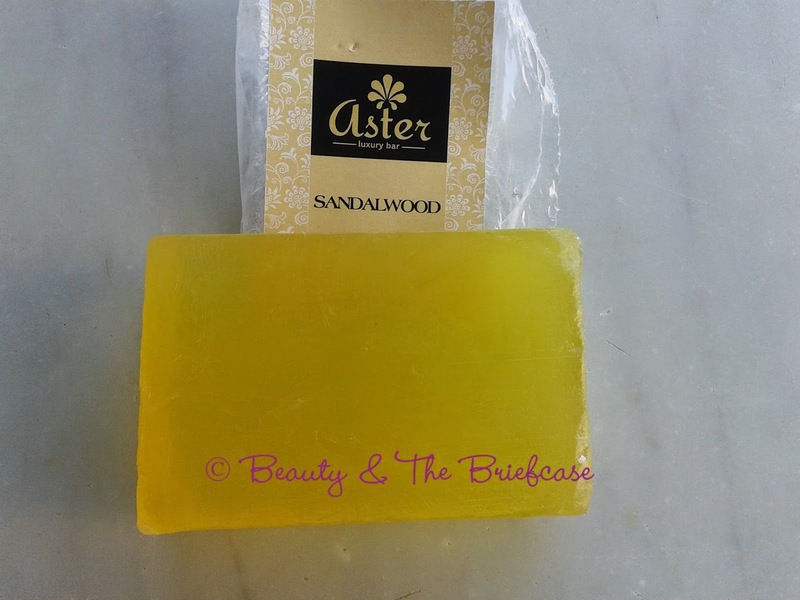 Aster Luxury sandalwood natural bathing bar soap is handmade and crafted from fresh procured natural ingredients. Sandalwood is effective for various skin allergies. It detoxifies the skin and cures acne and makes the skin look glowing, fair and young. No Paraben. No Phthalates. No animal testing. 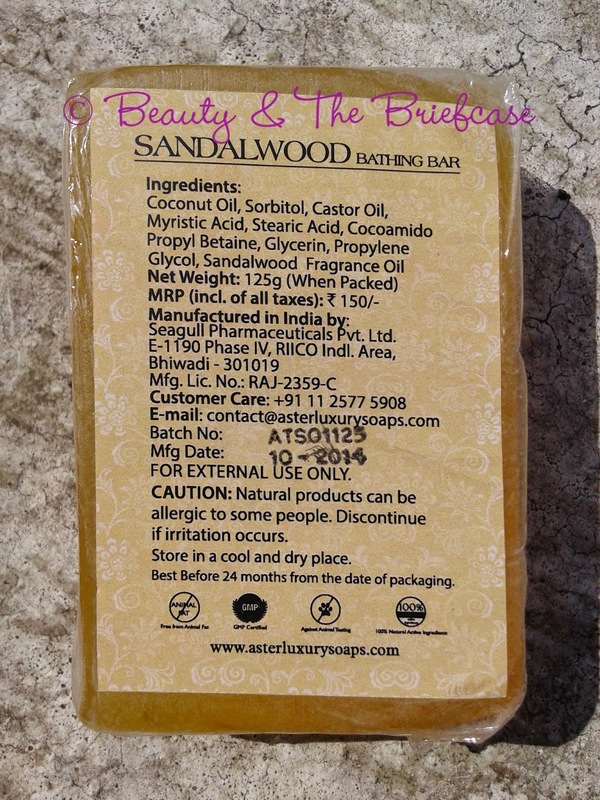 Sandal wood bar soap has aroma of 100% natural sandal wood oil. It leaves skin moisturized and its rich lathering effect gives a fresh appeal to the skin after every bath. This bathing bar does not have any side effects and is good for the skin. 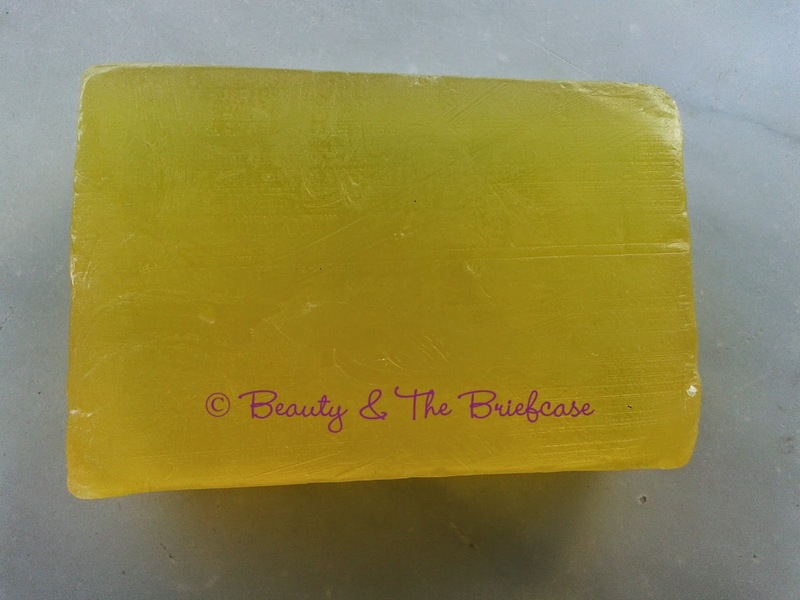 The soap is semi - opaque and yellowish in colour. I'm a sucker for soaps with amazing fragrance and this soap definitely scores well in this department. Sadly, it doesn't linger on for too long... would have loved if it lasted! This soap contains the goodness of coconut oil, castor oil & glycerin... all of these are doing wonders for my skin. I think this is the perfect soap for winters or for anyone who has dry skin. Another amazing fact is that unlike other handmade soaps.. this doesn't melt too fast nor does it loose its shape. It lathers really well and cleanses the skin completely. 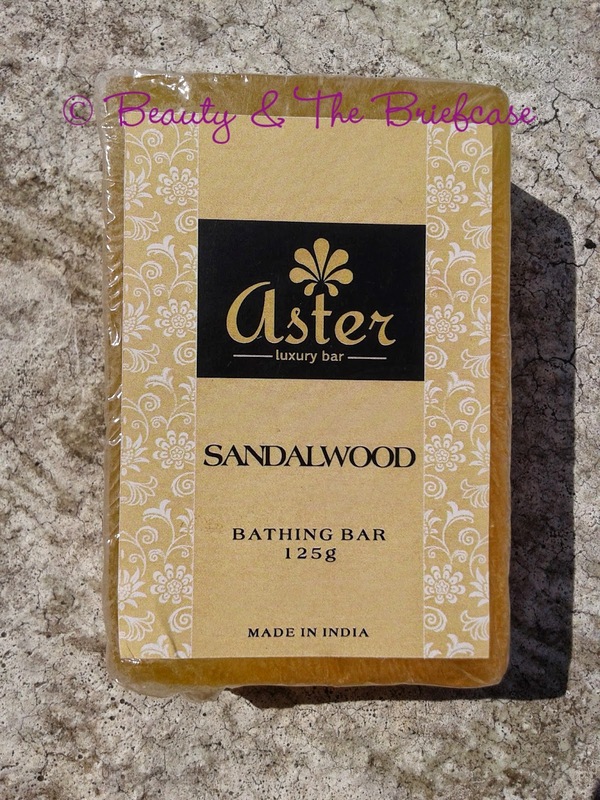 Aster Luxury Bathing Bar - Sandalwood is a great soap for winters/ dry skin. Loving the nourishing effect it is having on my skin. Overall, this soap is definitely a winner in my eyes. Do check out my on going giveaway HERE. You have reviewed this very nicely. I agree that they need to improve the individual soap's packing. The gift pack looks luxurious. I've tried the aloe vera soap from Aster and my experience is similar to your. I too wish the fragrance stays for longer time. hope they work of the fragrance and packaging part!!! Handmade soaps are gaining popularity and you review is like a add on in its popularity.